Chard is an excellent vegetable: as pretty as a picture on the plot (and plate), adaptable in the kitchen, delicious in flavour and packed full of vitamins, nutrients and antioxidants, what’s not to love? I threw this dish together late on a Sunday evening after a very busy day of Pilates, pickling, weeding, watering and whatnot. It was gone 8pm by the time we’d finished at the plot and hobbled through the front door, backs aching from our marathon weeding session. I wearily opened the fridge, feeling about as limp as the chard leaves that were slumped on the bottom shelf which Ade had harvested a few days earlier. There was some leftover chorizo next to them. Chard and chorizo, I pondered. Melt the butter in a medium sized frying pan before frying the onion over a low heat for 8-10 minutes. Wash and trim the chard, removing any tough pieces of stalk. Chop the chard and add to the onions in the pan along with a little salt and pepper (go easy on the salt, the chorizo is quite salty). Cook for about 3 minutes, stirring occasionally, before adding the chorizo and cooking for a further 2 minutes. Beat the eggs together in a bowl before stirring in the grated parmesan. Add the eggs/parmesan to the pan and stir, ensuring a good even coverage, before leaving it to cook through. Once it has cooked through but the top is still raw, place under a hot grill for 5-10 mins until the top firms and the frittata begins to puff up. Remove from the pan, slice into wedges and serve (hot or cold) with a salad. Previous In a Rut with a Glut? I love the look of chard on the plot, to eat not so much. Frittata however is a favourite for us and this one looks delicious. Thanks Victoria! Do give this recipe a go, even if you’re not a big fan of chard, there’s enough going on with the other flavours to keep it interesting! We haven’t grown any this year but will have to put that right. I did also wonder if it would work well in a stir fry. It does indeed work well in stir-fries – I throw it into everything! It’s one of the prettiest crops on the plot isn’t it? I love to see the rainbow stalks against the dark earth. Yes, and when the sunlight comes through the stems. 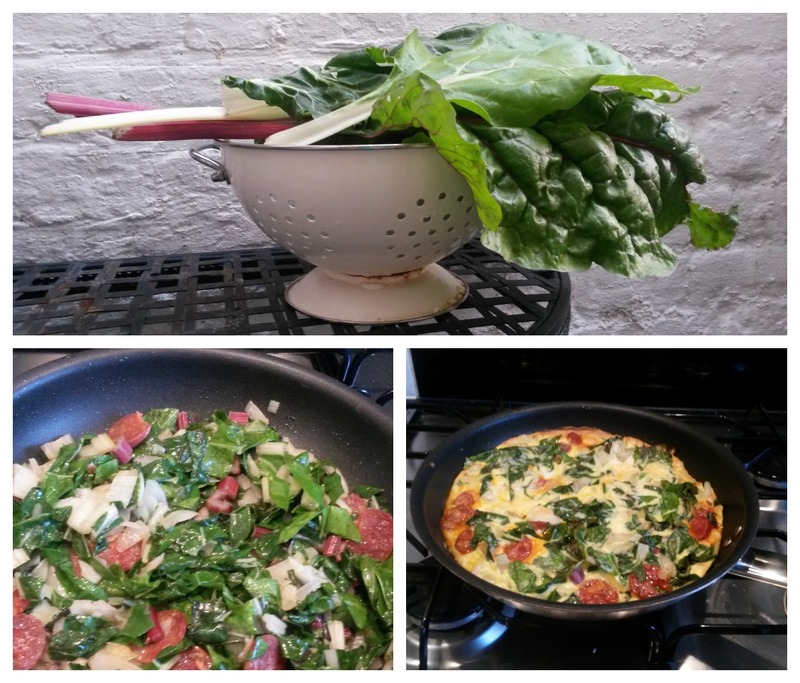 Love this frittata – not made it with chorizo before but that is a definite must once my chard is ready! This year is the first time we grew chard and the first time I éver tried chard. We love it and are experimenting using it in cooking. This recipe sounds delicious. We will be trying this one. 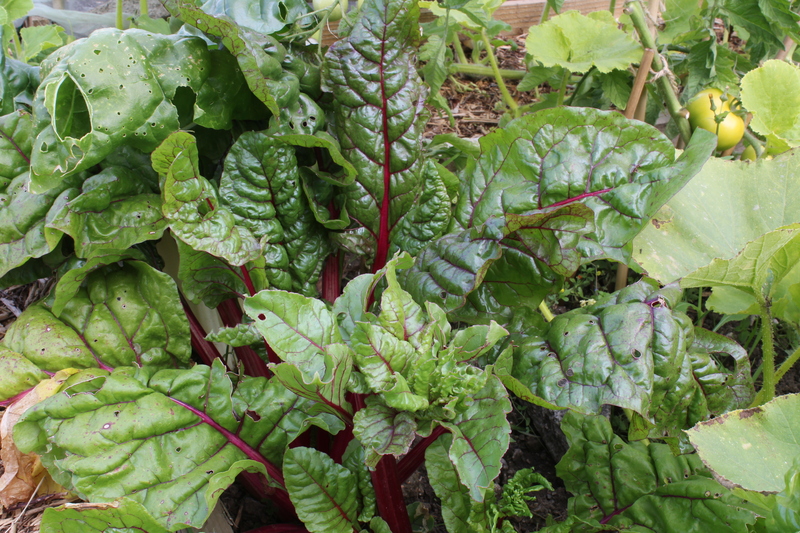 Same here, we’d never grown chard or eaten chard until last year and we really loved it. This is a great recipe as it is so easy and really delicious.